After serving three years with the United Nations peacekeeping forces in the Sudan, Muatazul Islam safely returned home to Bangladesh -- only to have a traffic accident completely change his life. "I am still in the (Bangladesh Army Rapid Action Battalion), but now I'm in an administrative role," Muatazul said. "My entire life changed in that one accident." 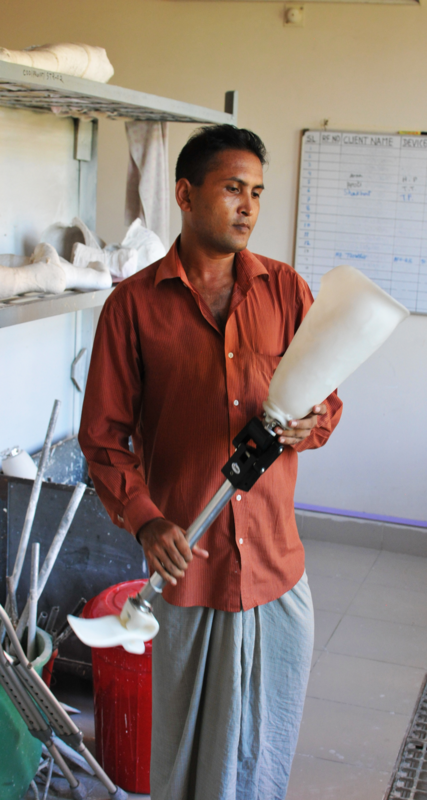 After the accident, Muatazul was fitted with a prosthetic leg system, but had many problems with it and usually used crutches. The married father of two now has a second chance at life, thanks to the LIMBS Relief Knee. The first person to be fitted with the full leg system, Muatazul is now making plans for after his army career is over. "I will be retiring soon and I'm really looking forward to the next chapter in my life with the LIMBS leg."